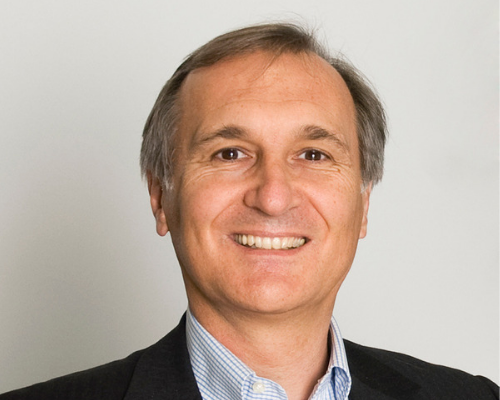 Enrico Salvatori is senior vice president & president of Qualcomm Europe, Middle East and Africa. In this role Enrico is responsible for Qualcomm’s EMEA strategy for ensuring that OEMs and operators drive new technology adoption throughout all EMEA markets. Enrico also provides strategic direction and oversight for all Qualcomm business development and operational activities throughout the region. His role overseas all areas of technology innovation including smartphones, automotive, IOT, connectivity and the transition to 5G. Enrico joined Qualcomm in February 2002 as a member of the product marketing team in Europe for QCT where he was responsible for operator relationships in Southern Europe. Prior to joining Qualcomm Enrico was the chief technology officer at TELIT, a handset manufacturer. He previously worked as a Technical Director at Elsacom/Finmeccanica, a satellite service provision company distributing the Globalstar communication service. Enrico has a master’s degree in electronic engineering from the University of Rome.